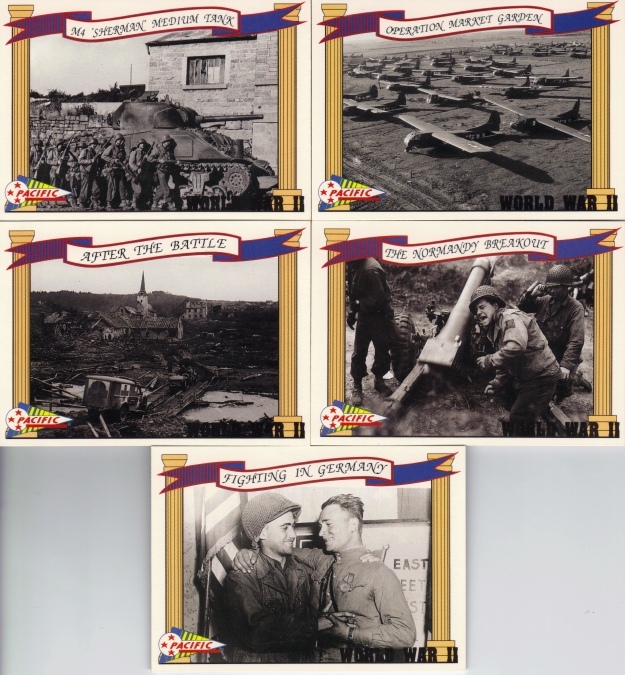 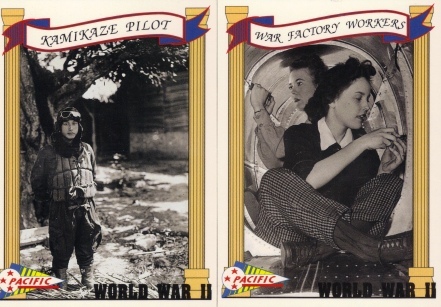 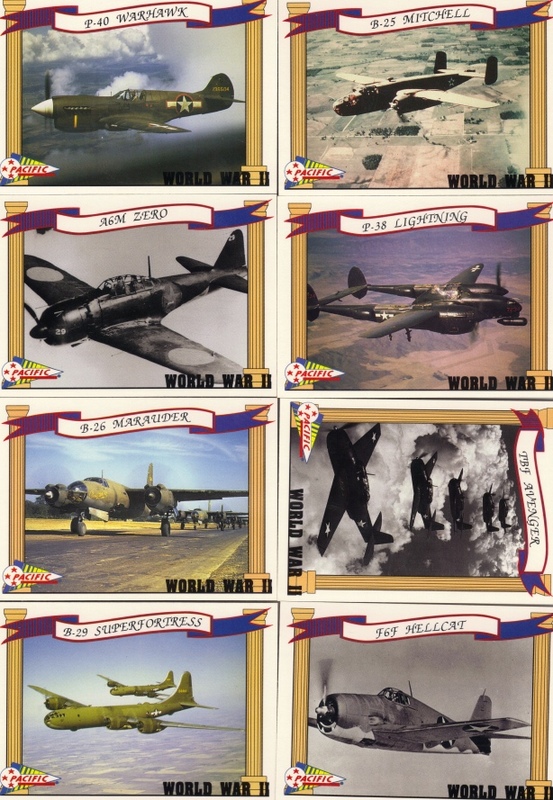 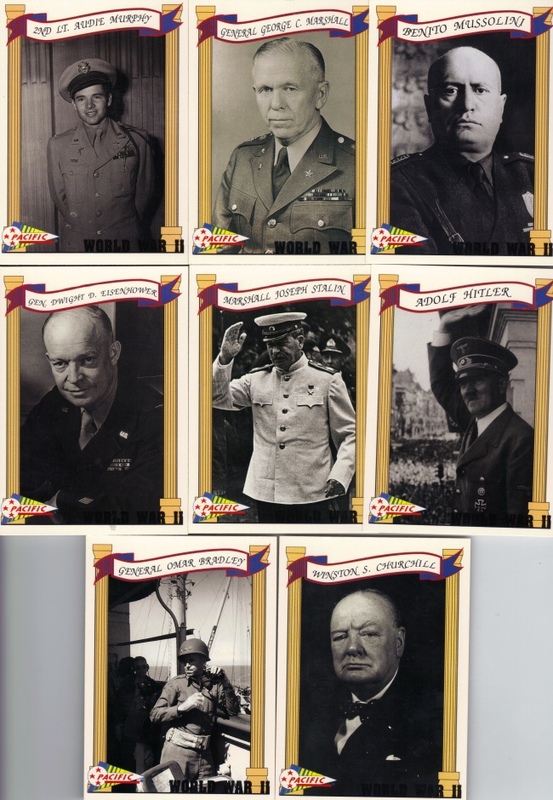 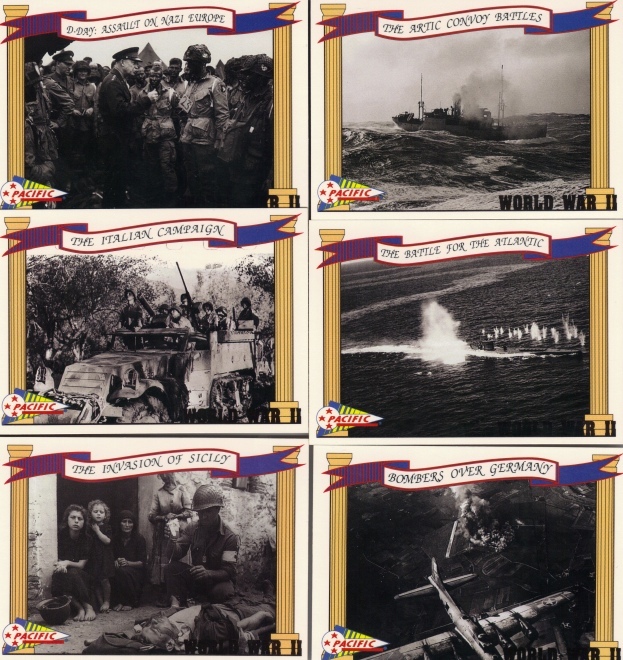 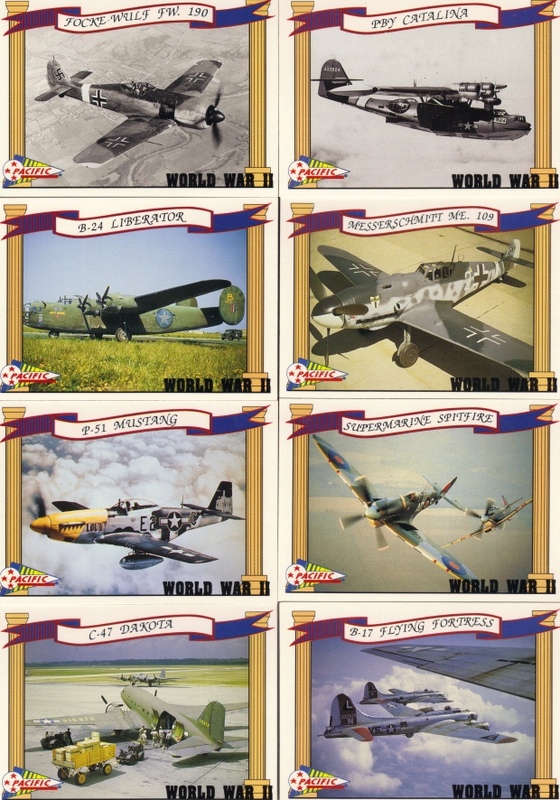 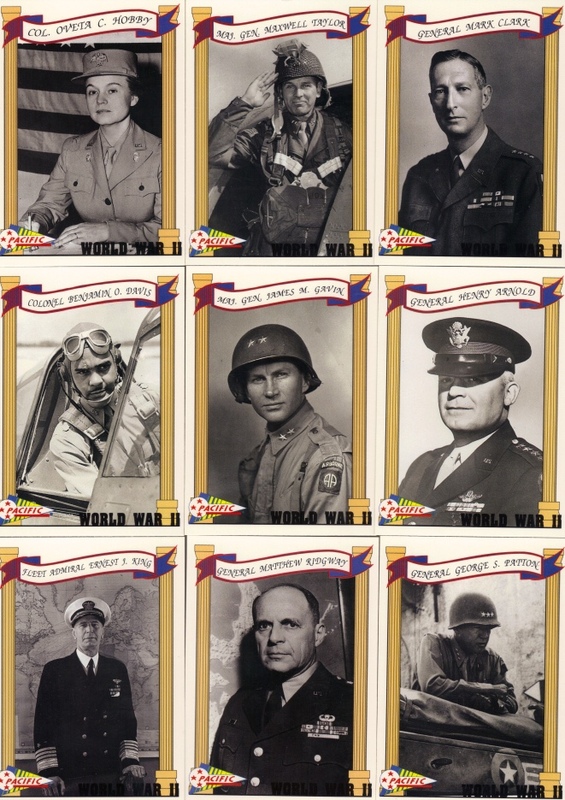 This is a set of 110 cards depicting people, events, things and posters from the second world war. 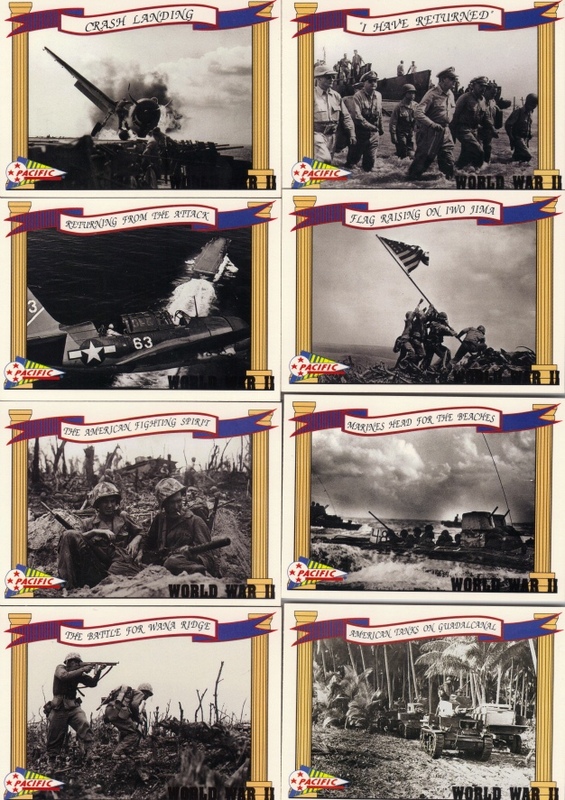 The back of each card has information about what's shown on the front of the card, making this a very good set of cards. 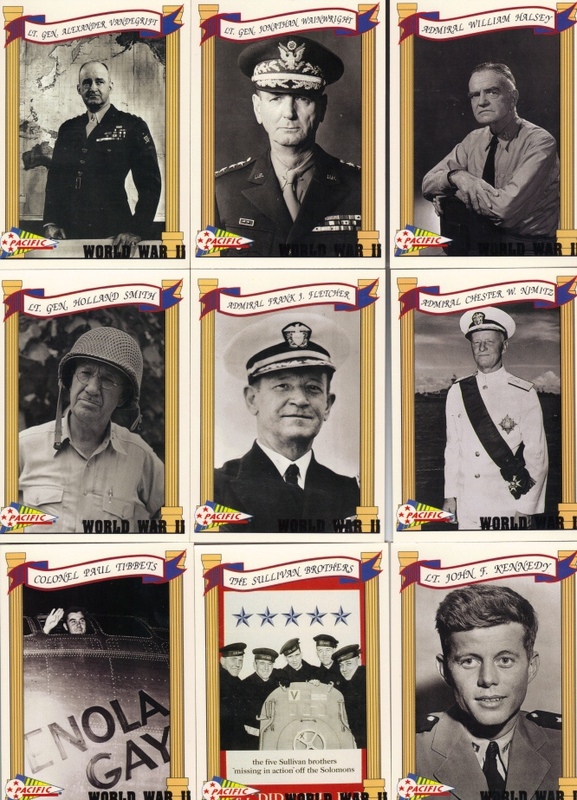 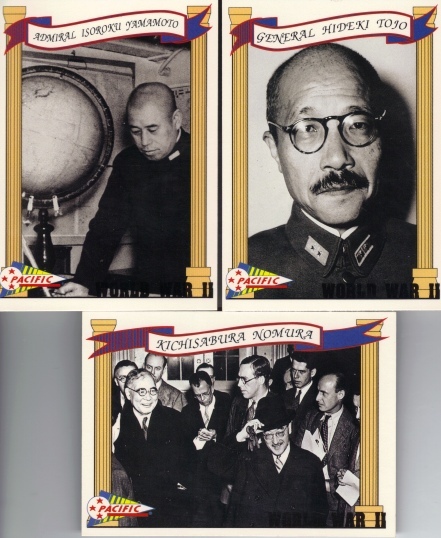 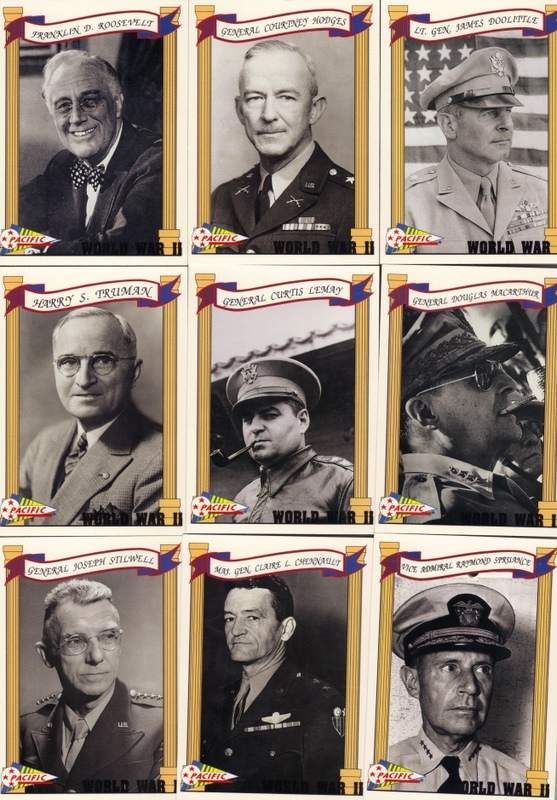 Some of them deal with the European theater, but many are about the Pacific theater. 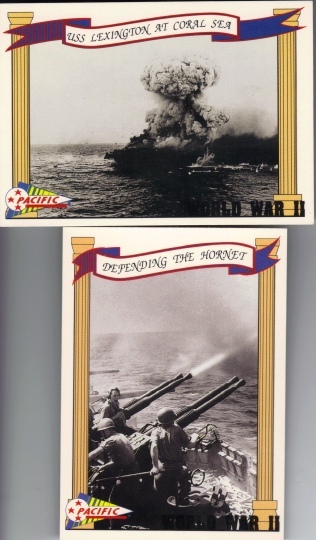 This shows the type of information on the back of each card. 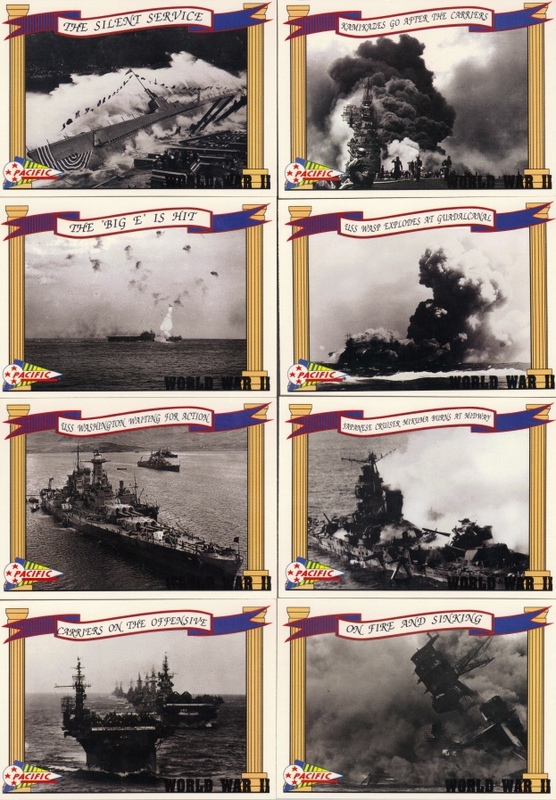 More scenes of battle in the Pacific.